I'm finally back from vacation and ready to plan out our meals again! What's on your menu? 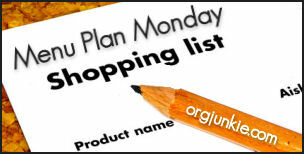 Check out I'm an Organizing Junkie and link up! !